A book that I’ve been reflecting on since reading it a few months ago is Falling Upward: A Spirituality for the Two Halves of Life by Richard Rohr. We humans think about and experience spiritual realities differently as we mature, and Rohr offers a valuable perspective on the changes that occur. 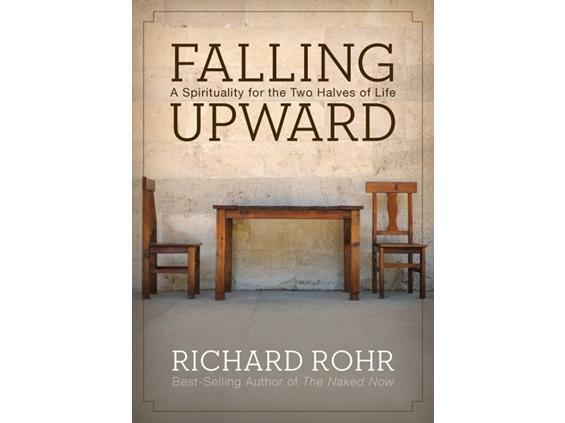 In this post, I’ll describe Rohr’s take on spiritual maturation in late life. Rohr holds that the task of the second half of life is “to find the actual contents that this container was meant to deliver.” I initially thought that Rohr was referring to Carl Jung’s theory of individuation, and there certainly are similarities. Jung thought that the polarities—contrasting elements—of our inner reality develop unevenly in the first half of life because we emphasize one pole while denying or suppressing the other pole. Later in life we achieve more rounded development, i.e. we individuate. More specifically, we develop the neglected aspects of our psyches and explore the shadow, that aspect of ourselves that we initially disown. It seems that Rohr agrees with all of this, but sees the process as spiritual as well as intrapsychic. He takes Moses at the burning bush as a metaphor for the experience of God in late life; genuine encounter with God involves a burning which consumes that which is insubstantial, the false self. For Rohr, the container constructed in early life is later filled with this burning presence of the divine. Not everyone matures from the self-oriented preoccupations of early adulthood into an elderhood characterised by wider concerns. To make the transition, there must be some sor of loss, some “necessary suffering.” As Rohr puts it, “The supposed achievements of the first half of life have to fall apart and show themselves to be wanting in some way, or we will not move further.” Even then, only those who have built a sturdy container in the first half of life—who have learned well the lessons their society has to offer and have developed good ego strength—are not destroyed by such falling but are transformed by it. The experience of God in the second half of life is a form of homecoming. Our yearning for home is satisfied by discovering God’s Spirit abiding in us. Having found his or her true self, the person lives beyond the bounds of time and space; he or she enters a boundless realm where communion with others transcends temporospacial divides. The person is self-accepting, with no further need to prove anything either to others or to themselves. This is definitely not a how-to book; there are few practical suggestions. Instead, it is a catalogue of the features of mature spirituality and a description of how they come about. Rohr’s writing tends to be allusive and vague; I often wished for concrete examples or exact definitions. Nonetheless, Rohr’s broad points are clear. I do recognize some of the features of second-half spirituality in myself—or, more precisely, I recognize some movement towards those characteristics. I’m more self-accepting and seem to have fewer illusions about myself, for example. I may never experience the full flowering of such qualities. To the extent that I’m self-accepting, though, I won’t judge myself over lack of progress along that path. Que será, será. This entry was posted in Psyche, Resources, Spirit and tagged aging, Carl Jung, Christianity, Falling Upward, older adults, Richard Rohr, spiritual growth, spiritual maturity. Bookmark the permalink.